Trevor is a loveable pooch who HATES being clean. In this fabulous full colour picture book, readers follow Trevor over a whiffy week as he hunts for the perfect pong. 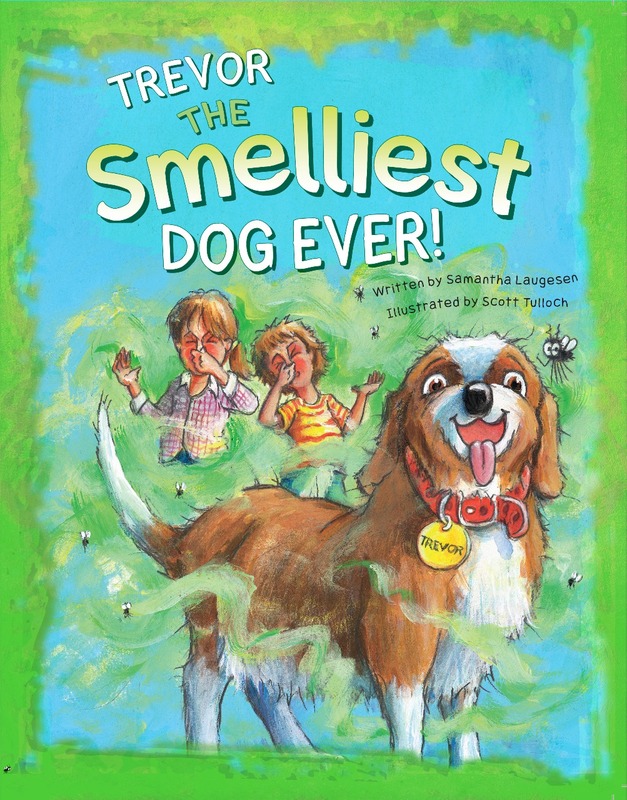 A fun read for muck-loving pups everywhere. 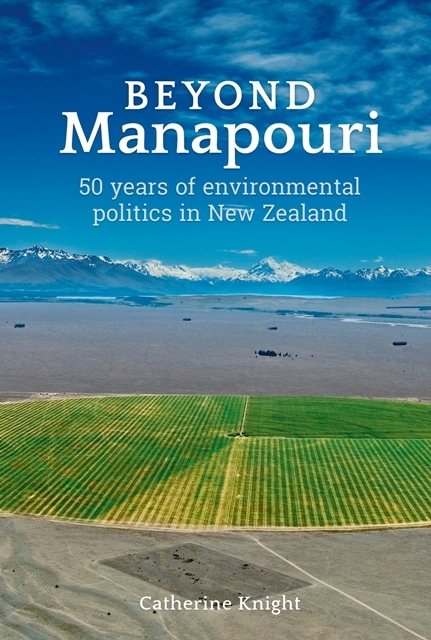 Made in New Zealand Author of the very popular Stuck in Poo What to Do? 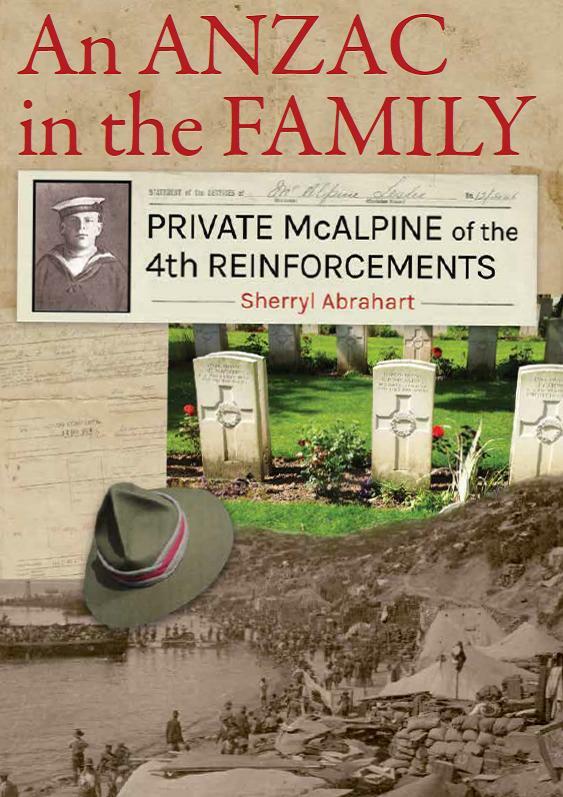 From the classrooms and playgrounds of early 1900s New Zealand to the battlefields of Gallipoli, the tragedy of the Marquette, and the trenches of France, this is the story of Private Leslie McAlpine. Many families in New Zealand have an Anzac who served in the First World War. Leslie is the Anzac in our family. He is a fit, healthy young man who never completely loses hope that he will get back home. His story shows how decisions made in the wider world affect our lives and our opportunities. Leslie leaves New Zealand as one of the 2235 men in the 4th Reinforcements and the story follows their lives and deaths. In 1914, as New Zealand goes to war, Leslie is in the navy, on the Torch, and loving it. But he wants to see a bit more action. He reads the accounts in the papers describing what the New Zealand and Australian soldiers are doing as they travel across the world in convoy and he wants to be part of that. So in January 1915 he enlists in the army in the 4th Reinforcements. He is just 18. With an adventure before him that everyone in New Zealand approves of and celebrates, what can possibly go wrong? The Allied forces and politicians plan strategies and make decisions. Leslie and the 4th Reinforcements follow orders and do their very best. Surviving Gallipoli and the Marquette disaster, Leslie is killed in action on the Western Front. He is just 19. The only constant is change—especially in today's business environment. Increasing globalization and the rise of new markets and technologies are forcing companies to compete in a more turbulent world than ever. To survive and thrive, organizations must be able to continuously evolve. Unfortunately, people tend to resist change. Uncertainty can be daunting, and people generally prefer to keep doing what they already know, avoiding unfamiliar situations, particularly in their work. The good news is that change can be managed using the same processes many organizations already use in their day-to-day project management activities. After all, every project results in some type of change to an organization. Building on the Project Management Institute's Managing Change in Organizations: A Practice Guide, and drawing on the project management expertise of a wide variety of authors, How Successful Organizations Implement Change explains the critical aspects of the change management process and outlines the methods that project, program, and portfolio managers can utilize to bring effective change in a complex and transient business context. For practitioners who are directly leading the change effort as well as those affected by it; for executives formulating strategies, even those managing operations; and for academics researching or teaching others about organizational change management, the examples provided in this book cover a broad range of industries and areas of business. 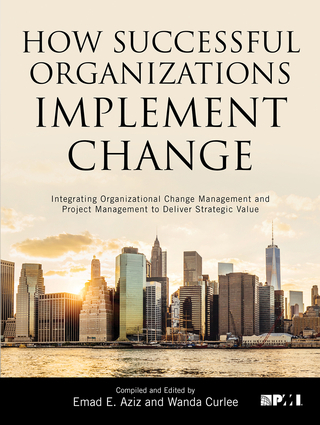 How Successful Organizations Implement Change combines the change management knowledge of experts, academics, researchers, and practitioners with tools, processes, and templates, all of which make this volume a valuable resource, a must-have, for leaders of change in organizations. Hit the Road – and leave your comfort zone behind. Step aboard a four-wheeled home that allows you the freedom to stay wherever you want, whenever you want, and however you want. Watch the passing landscapes, follow the desire to see what is just over the horizon line, and escape from modern monotony. Be it the story of a couple that traveled across Spain, Portugal, and the United Kingdom in a Volkswagen T4 on a journey to enrich their culinary education to a trek from one tip of Canada to the other behind the wheel of a Honda Element with the aurora borealis as a guiding light to a group of friends who perseveringly drove a Porsche 944 from England to Cape Town: Hit the Road welcomes you to follow these nomads and their journeys with stunning photography and details of their intrepid transportation. Rides range from classic Volkswagen Bullis to refurbished Airstream trailers and unstoppable 4x4s. 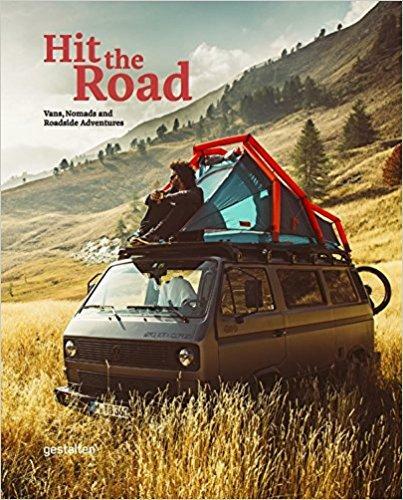 From the deserts of Africa to the snow-capped mountains of Mongolia: prepare to hit the road. Previously announced late 2017. Fresh eggs. Grandmother's pickling jars. Backyard orchards. 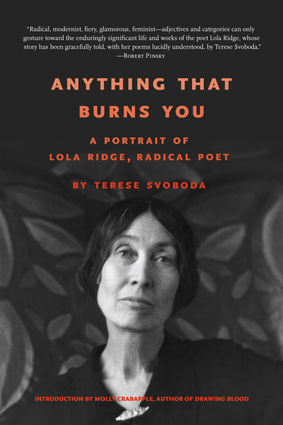 Return to the good life with this inspiring volume. Living on the land and learning to reap the benefits of nature. From farm-fresh eggs and herb gardens that enrich home cooked meals to beekeeping to aid in the pollination of small crops, there's a lifestyle that exists in harmony with our environments. These locales reveal and embrace the many layers of this way of life. Activities such as canning and marmalade making are given new life in these pages. 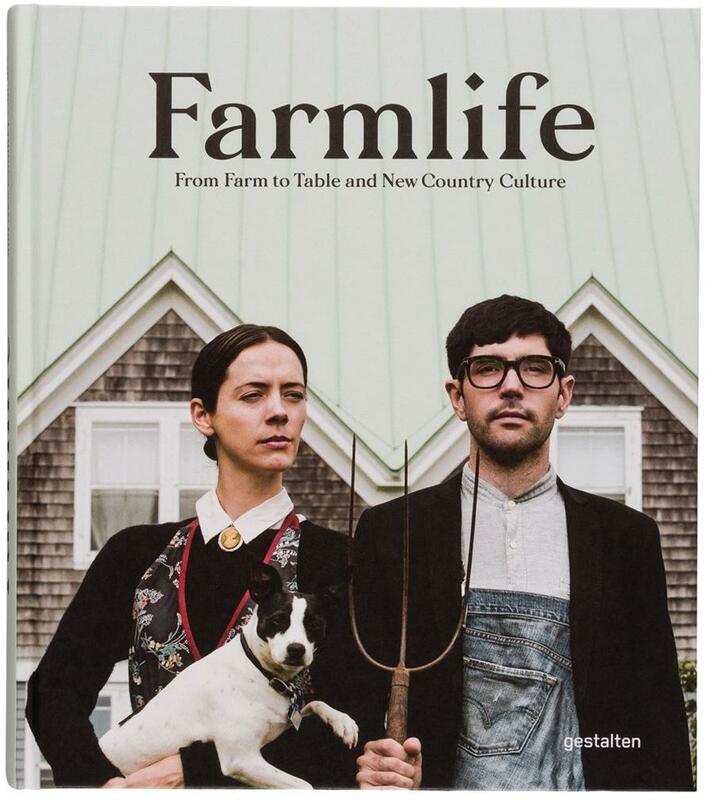 Whether autumnal foraging for mushrooms or learning the different flavors of varying apple varietals or enjoying the fresh spring leaves of kale and spinach, Farmlife is a cornucopia of inspiration for living more intentionally and more interactively with our surroundings. When it comes to the world of crafts, it is not unexpected to hear conversations reminiscing about the good old days. It is a familiar fallacy, but these days people are on the hunt for quality. Straying from a path of finding someone to perform a quick fix, people are searching for objects that will stand the test of time. From the hand-woven rugs of La Manufacture Cogolin in France to the elegant custom-built cabinets of Copenhagen’s Københavns Møbelsnedkeri or to the tale of Cristina Celestino’s ceramic and porcelain tiles, whether reviving traditional skills or experimenting with modern techniques, these specialists all share a passion for crafting of the highest tier. Who specializes in marble inlays, and who is the go-to for a bespoke stool? And just where can these stunning designs be found? 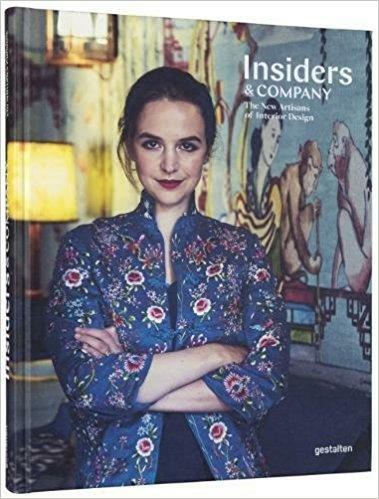 Insiders and Company reveals how high-end furnishings are made, shows you where to acquire them, and proves that the world of artisanship is more exciting today than ever. Meet the craftspeople and designers that pair traditional processes and modern materials to redefine the modern standard with a nod to the past. Embrace the good old days: the present day. Shoplifters explores innovative store concepts and provides expert insights into how brands can engage with their customers in novel ways. Disrupted by online shopping, shops and brands find themselves in a permanent battle over the most innovative store concepts, striking window displays, and genius presentation of goods to breath new life into the traditional retail flow. It is this creative struggle that has heralded in a golden era of retail design. Brand experiences now stretch far beyond the end product; the dialogues between a shop and its consumers are becoming increasingly important. Companies are tapping top designers and retooling their talents, be it through sophisticated flagship stores or unexpected temporary venues. 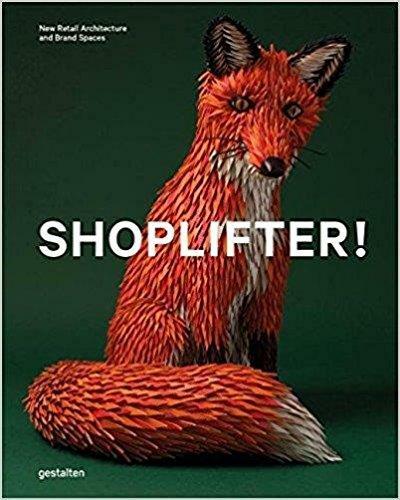 Shoplifters showcases the most outstanding concepts across a number of industries, introducing the most innovative brands with rich, in-depth case studies. Move aside, Martha. Out of the way, Oprah. Pack your bags, Amy Sedaris. There’s a new lifestyle guru in town! 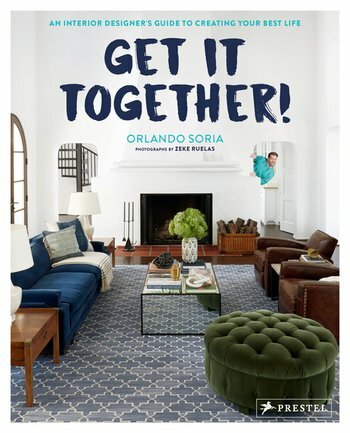 After getting his start years ago on HGTV, Orlando Soria has made his way to the upper strata of the blogosphere with Hommemaker, his blog about home décor, art, style, and life. His distinctive voice—funny, confessional, and honest—has made him the Dan Savage of millennial homemaking. Now he brings together his most original, endearing, and irreverent advice in one gorgeous book that will help readers out of all kinds of tight spots—whether it’s throwing a dinner party when you’re broke, hanging art like a gallery owner, or preparing your home for an unwanted guest. In sections on interior style, design, “Homme Life,” DIY, and general life lessons, Orlando offers advice on topics such as “How to Make Non-Garbagey Flower Arrangements” and “How to Deal with a Soul-Sucking Breakup.” He helps readers problem solve, avoid rookie mistakes, and choose a wall color that won’t make them puke. Photographer Zeke Ruelas’s stunning images accompany Orlando’s tips on designing for dudes, making your own coffee table, and decorating a kid’s room. Whether you’re short on cash or have money to burn, Orlando’s unique and highly contagious take on life will inspire, comfort, and reassure you that anyone can Get It Together!